Are you tired of those unsightly chrome fender grilles on your BMW 4 series? RW Carbon has the perfect solution for you with a set of Gloss or Matte Black replacement fender grilles. These are professionally crafted using high quality and durable ABS plastic and replace your exiting chromes ones using the same mounting locations. 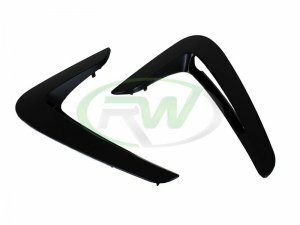 At RW Carbon we back each and every one of our products with a fitment and quality guarantee, so you can be confident you are receiving a great product that will last just as long as your 4 series.